The main Green Initiative in spring of 2018 has been the launching of the Green Friend's North America Source Reduction Campaign. 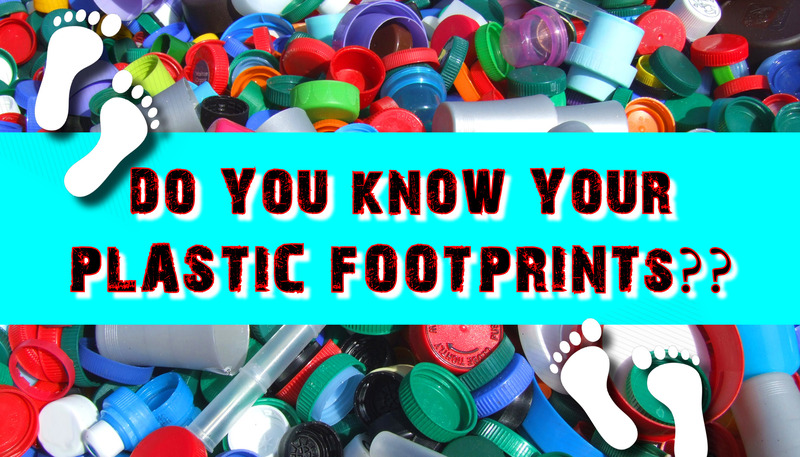 The first phase had a focus on reducing single use plastics. Devotees were challenged to measure their footprint and take a pledge to reduce it before Amma's visit in June. The challenge is outlined on GreenFriends North America web site. 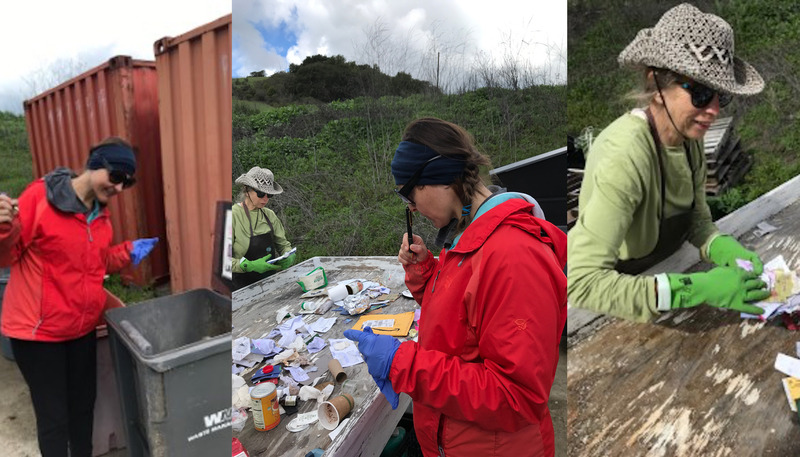 A selection of videos was presented weekly at San Ramon MA Center's Saturday evening programs with topics ranging from Microplastic Pollution to Zero Waste Living. This provoked a lot of discussion and interest in finding alternatives. The humble cloth bag is at the basis of all successful Zero Waste provisioning. 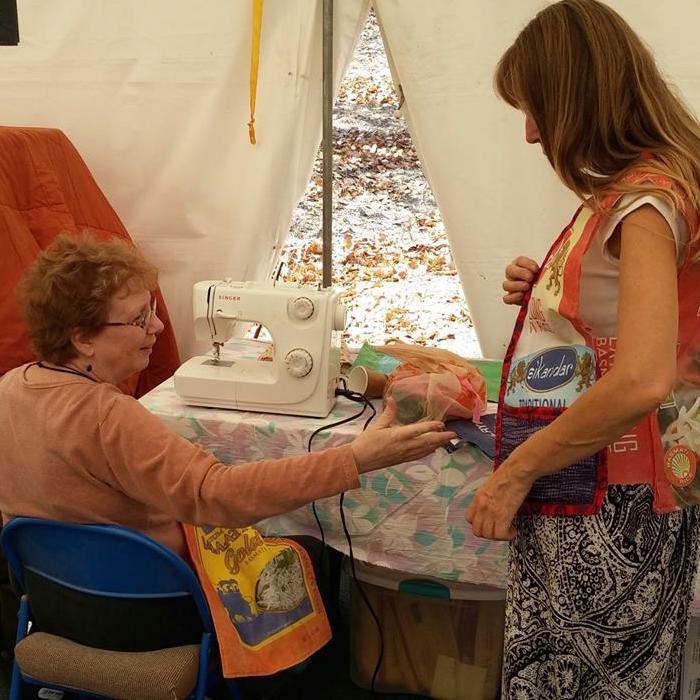 The San Ramon Craft Guild went into immediate action sewing up sturdy and handsome bags upcycled from cotton tablecloths. 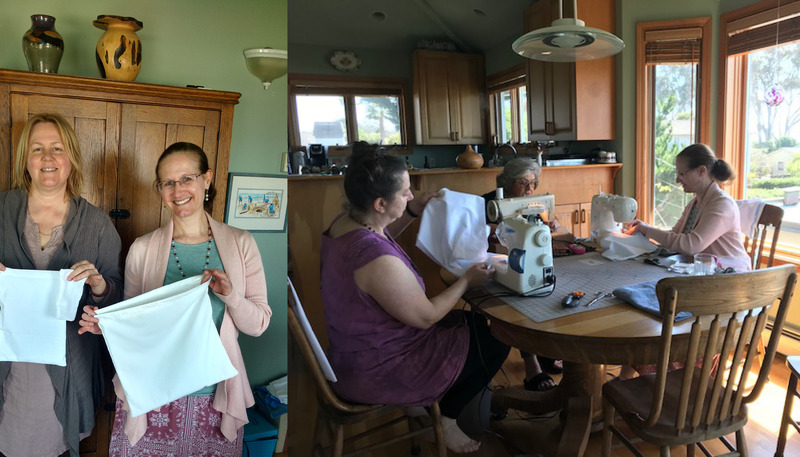 The Santa Cruz Satsang organized a successful cloth bag making party. Their work inspired other non devotees to switch to reusable cloth bags. This campaign has inspired people well beyond Amma's ashrams. Marin Satsang also disseminated guides to zero waste shopping with links to purchase items made from stainless steel and cotton. The first ever Waste Audit was carried out with the trash and recycling of the Main House Residence to determine the extent of single use plastics waste. It was a fascinating process and a chance to see just how many little things have plastic parts to them. After reporting some findings, residents have been enthusiastic in devising strategies to source their food with less packaging and create better separations to capture more recyclables. Devotees involved in this campaign have spread these ideas to others, whether in their families or at their workplaces inspiring them to make changes. In this way Amma's inspirational teachings are spreading through her children's actions. As part of the Green Initiatives, in 2013, MA Center converted to Solar energy. 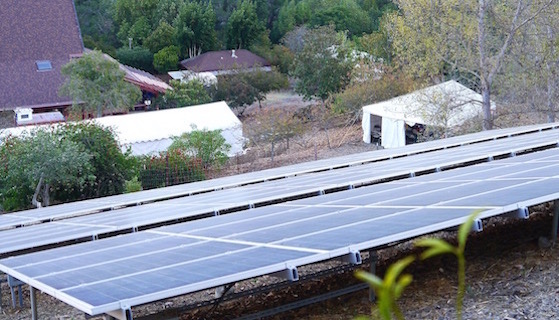 The Solar grid serves all electrical needs for the entire ashram. Following Amma's wish that everyone should plant a vegetable garden in family backyards to enable own self-sufficiency, residents and Karma Yogis at MA Center started a new veggie garden on the deck off the kitchen. Work aprons from recycled packaging such as rice bags, used by painters and carpenters. Plastic Project, making water bottle holders and wallets from recycled plastic and sold during Amma's programs. Contact: Kavyashree, if you would like to get involved.